Many of us may have heard of the graceful Debbie Allen, or even the powerful Misty Copeland. However, there is a new cat in town and her name is Ebony Williams. Ebony has danced with stars like Justin Timberlake, Rihanna, and the queen herself Beyoncé. Ebony is on the mission to becoming her best self! She is even standing up for body positivity. In an interview with Black Enterprise, Eboni stated “I think it’s important to know that you can have your best body… you don’t have to look like everyone else. You are an individual and it’s okay to be an individual”. Now that we are on the topic of being our best self! Here in Philadelphia we have some of the best dancers on the planet. 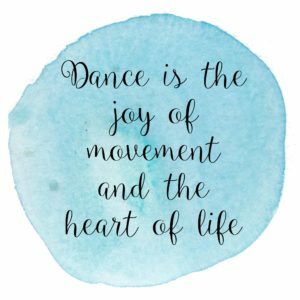 If that’s you and you want to groove with other people in the community, REGISTER for free with one-time $5 registration dance classes at the Dornsife Center. Classes start October 1, 2018- June 2, 2019! 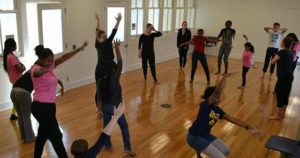 Instructors will be Drexel University dance students and alumni supervised by Dance faculty. 2018/19 Dance Season: Enrollment for the entire year. New students will not be able to join after fall term, so REGISTER early! Below are a list of the different classes being held. Ages 7-12yrs- Ballet/Jazz every Monday from 4:30pm to 5:30 pm and Hip Hop every Wednesday from 4:30pm to 5:30pm. **With optional STEAM from 5:30pm to 6:30pm. Ages 13-18yrs- Choreography every Monday from 5:30pm to 6:30pm and Modern every Wednesday from 5:30pm to 6:30pm. Before you start, please attend one of the MANDATORY orientations listed below. Also, come prepared with your $5 per person registration fee. Limited spaces, so first come, first serve!